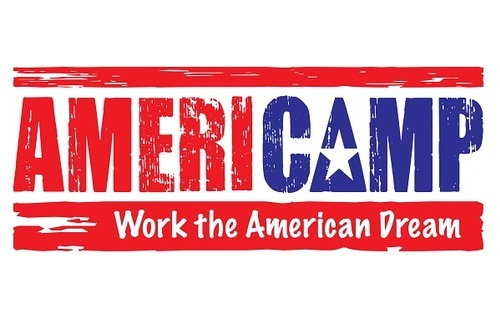 Interested in working at a US summer camp? 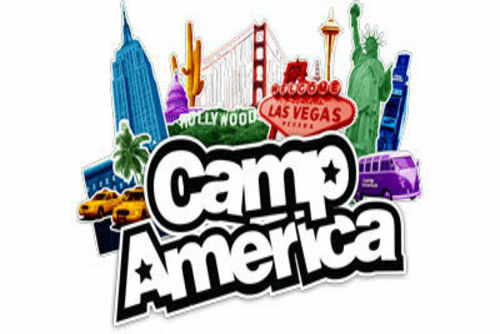 Keen to do Camp America in 2019? 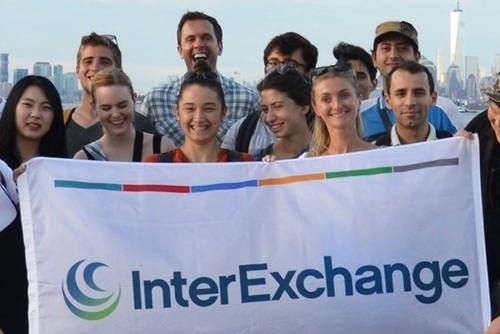 Search camp counselor jobs in the United States and apply for the best summer of your life. 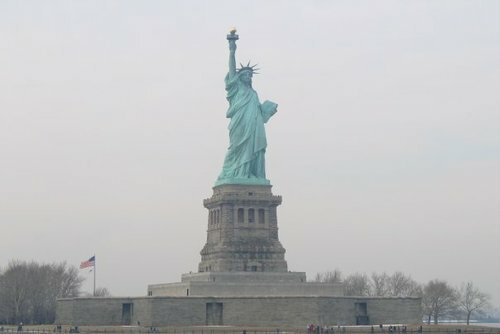 Would you like to work in the USA? 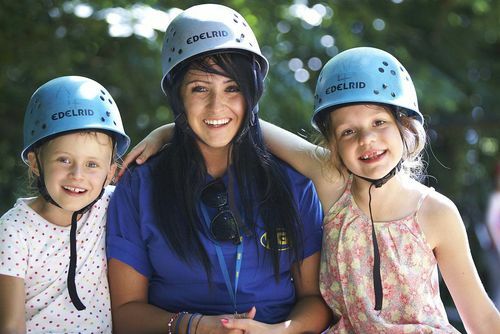 Fancy working at a summer camp? Good decision! Summer camps are part of the American culture and way of life and there are over 12,000 throughout North America. Summer Camp USA is one of the most popular jobs in the world for internationals where you will get to spend 9 weeks+ working and traveling, meeting new people and having a lot of fun. 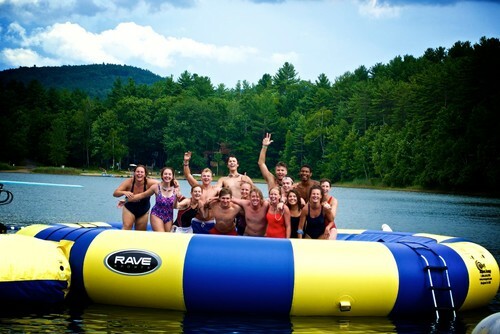 Working at a summer camp in the USA will be one of the best experiences of your life! Even if you don't have lots of experience or a specialist skill, don't worry! Camps love to hire skilled staff, but most camps also require individuals that are flexible, energetic, great with kids and with a good attitude and an open mind. Many counselors end up teaching something they never even dreamed they would be able to teach at camp, and thoroughly enjoy the experience. Must be available between May 1st and June 20th for the minimum of 9 weeks. The general cost to apply is around £350 and this includes return transatlantic flights, meals & accommodation, medical insurance, our support and much more. At camp, you will receive pocket money of around $600-$1200 depending on age, skills and qualifications. Each agency charges different upfront fees, some include things like travel/medical insurance, group flights, 24 hour support, airport pick-up and more. Please beware some companies charge a lower upfront fee but this might not include flights which can make the price shoot up. 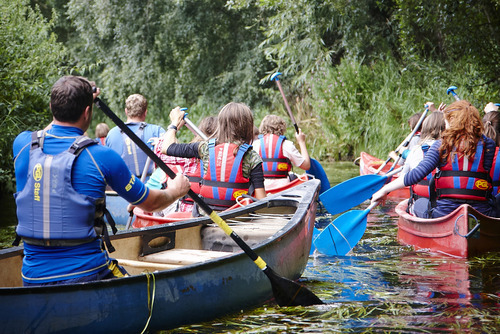 The total cost for working at a summer camp can be anywhere from £350 - £800 depending on what is included. Don't be put off by this price through as all companies offer wages for working during summer (pocket money). We recommend you don't be put off if a company charges more upfront than another, just because one company offers a cheaper price to apply it might end up costing you more overall. Extra costs which might not be included in the price you pay include a CRB police check (approx £44), medical appointment/form from doctors (approx £10), travel to embassy + interview to obtain a J1 work visa (approx £145), baggage insurance (varies) and post-camp travel and tours. If you really want to make a big saving you will need to apply very early where there are usually special discounts on early applications. Another option is to recommend a friend, sometimes companies will pay you a referral fee if someone you know also signs up to the program. You might also save money if you decide to pay the whole fees upfront instead on instalments. Try to apply as early as possible to increase your chances of being accepted/placed. You will need to get your application in before April as the deadline is around this time. You can search featured jobs above if you haven't yet applied. After completing an online application you will need to have an interview, check our top tips how to pass your summer camp USA interview. There are thousands of summer camps located throughout North America, all are different. Every camp is different and all have unique daily routines, you will work alongside American and international staff helping children have the most enjoyable time possible. You usually need to be awake by 8am for flag raising and you might work till late, but there will be lots of breaks during the day. Agency camps are the most common form of camps available in the USA, many are run by organisations like the YMCA. Usually the most luxury camps in terms of facilities, children from wealthy backgrounds usually attend these camps. There are hundreds of faith based camps located throughout North America, most have a focus on Christianity and Judaism. The majority of Christian camps describe themselves as protestant evangelical. 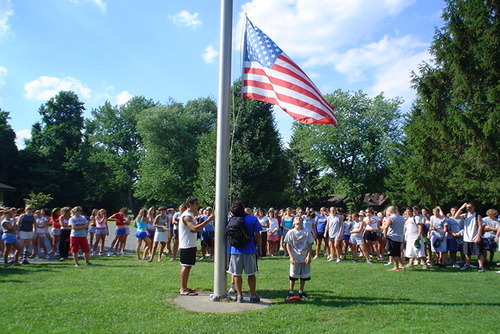 Faith based camps are part of a unique tradition that provides a safe and fun environment in which children can develop both physical and social skills while following the Christian/Judaism ethos. Please note you do not need to be religious to apply or get employment at most camps. One of the most rewarding ways to spend a summer, help and work with disabled children and adults at specially set up camps designed to provide enriching opportunities. Children attend day camps to participate on activities, but they go home at the end of the day. Arguably the most important job on camp! 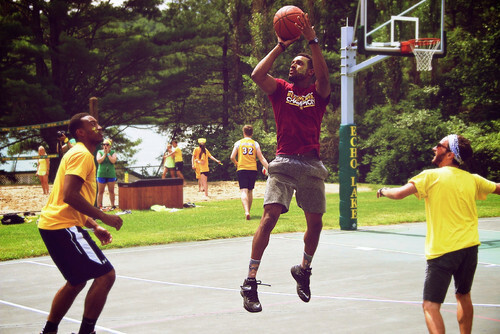 Cabin Counselors assist in activities across camp as they supervise groups of campers following their daily schedule. A good cabin counselor will have strong all-round skills and ideally will be able to lead one or more specific activities too. This is so Camp Directors can ensure their staff as a whole is balanced and able to fill in when plans change! The main responsibility of all counselors is the supervision of a bunk or cabin in between their scheduled activities, at mealtimes and at night (most counselors sleep in a room with their campers). The memories you get from that session with your kids will last a lifetime. If you have a certification or experience teaching an in-demand skill then this role is perfect for you! A Specialist Counselor provides daily instruction in a specific activity(s) to groups of children. The types of specialist skills sought after by camps are numerous so remember to include all your interests on your online profile. Specialist Counselors will also have childcare duties and live in a cabin with campers as well as devoting a large portion of their time to their skilled activity. Specialists should also be prepared to participate in other activities during the day and evening. Summer camp sports instructor jobs are very popular, you can work teaching football, archery, tennis, baseball, ropes/climbing just to name a few. If you have any specific skills like archery or sailing the chances of you finding a job will increase. 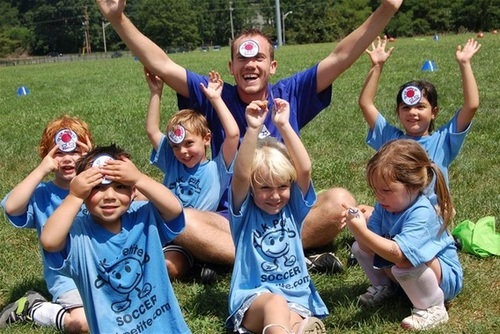 Camps in the USA hire international soccer coaches to lead lessons and games throughout the summer. 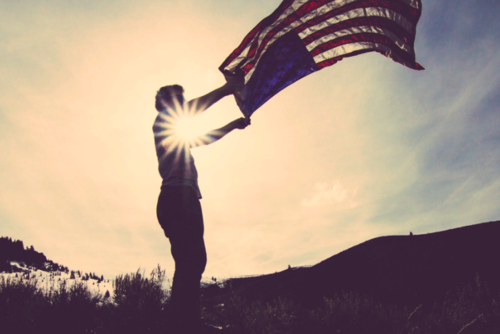 Suitable candidates must have previous coaching experience and be able to demonstrate the characteristics needed to work and live in America. You will be responsible for organizing and making sure their sessions run professionally and effectively as well as running clinics with high standards. If you have any specific skills like sailing, canoeing or sailing the chances of you finding a job will increase. Imagine waking up each morning, walking down to the lake and seeing your reflection in the water. Make this dream a reality by working at summer camp as a water-ski, wakeboarding or sailing instructor! To be a successful Water-ski/wakeboarding Instructor you will need to be highly experienced in waterskiing and wakeboarding and able to teach at novice level. You will also be competent when driving boats and have a good level of driving hours behind you. You will additionally need to be lifeguard certified. Being skilled in boat maintenance is desirable but not essential. If you are already qualified to work as a lifeguard, or if you aren't and this position appeals to you then full training can be provided. You will get to spend your summer pool, lake or sea side ensuring safety and water based activities run smoothly. Enthusiasm and willingness to try for something new is what camps look for! As an outdoor specialist it will be your job to lead groups of children in a range of different activities throughout the day, and could also include leading trips for a number of days at a time. We are looking for hard working people who enjoy working with children and are looking for a challenge. You can apply for one or more of the following activities; Rock-climbing, Ropes, Go-Karts, Hiking, Hi-wires, Mountain Biking, Orienteering, Camping. Previous experience teaching people how to ride is an advantage but not essential. We have a range of camps available for you to work on that teach either Western or English style riding. As a minimum requirement, you to be able to tack up, walk, and trot. Additional duties may include leading trail rides, looking after the yard, cleaning equipment and help with feeding. You will need to be fun and enthusiastic people who love working with children and horses. 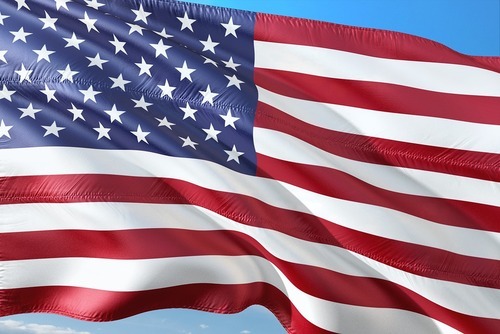 This is the perfect opportunity to spend the summer working outdoors whilst having the opportunity to experience American culture and the chance to travel. Do you have hands-on experience producing videos or films? 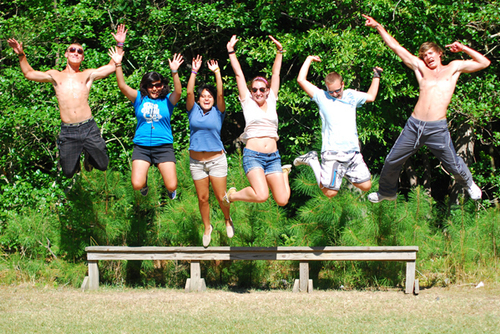 Camps need creative people passionate about video and film to work in the USA! As part of the TV & Film crew at camp, your role is to capture the essence of camp life. You will be helping campers make the camp movie, make their own music videos and film all camp events. You will play a key part in a small team; teaching children how to use equipment, edit and shoot videos. Experience with both Apple Mac and PC is preferable. There are also positions in arts, crafts, painting, photography and music. If you have a passion for dancing, apply to teach dance classes to children at a US summer camp. Some technical experience is required including experience as a dance teacher or choreographer, understanding of dance technique and pedagogy and skilled in at least 2 genres. There are hundreds of Christian and Jewish camp counselor jobs available, camps are located right across the US. Working at a religious camp will, without doubt, be the most rewarding, challenging and unforgettable job you'll ever have. You will work hard but will do so in amazing surroundings, having great fun and making enough new friends to last a lifetime! Some camp require no religious background but others might require you to answer some faith based questions to see if you are suitable. 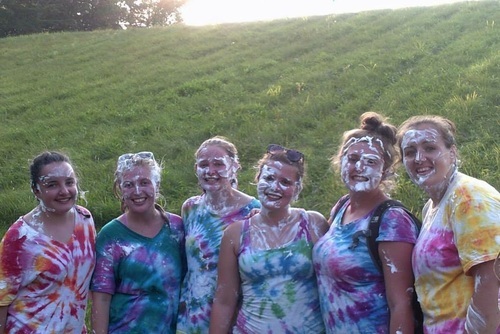 Working at a religious camp will allow you the opportunity to experience an American summer camp with all its camaraderie and fun, whilst being able to grow and share your faith with others. Summer camps for people with special needs provide a haven for campers and their families to take a break from their daily routine. Camp Counselors are needed to work at camps for people with special needs. No previous experience necessary, as all camps for people with special needs will provide a 1-2 week training session prior to the arrival of the campers. Summer camps for people with special needs provide a haven for campers and their families to take a break from their daily routine. 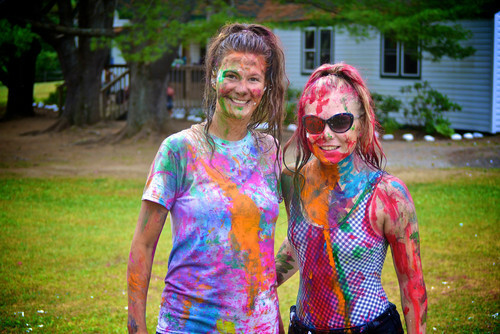 As a special needs counselor, your role will have a hugely positive impact on the lives of campers and their families. We are looking for people, who are willing to work hard at providing a comforting, fun and supportive environment for their campers and who can smile even in the most challenging of situations. Looking for a more professional position? Work in the camp office alongside local staff and other internationals helping with day to day tasks and problems. You could be helping with paper work, calling parents, organising activities and events and helping managers operate the camp sucessfully during summer. The role can involve answering telephones, responding to emails and letters, general reception duties, working on computers and speaking to staff. The following qualities are beneficial - professional working manor, ability to be organised and flexible and prepared to work long hours. This position will be great experience for your future career as it involves you gaining many transferable skills. Previous experience is an advantage but not essential. If you have maintenance, kitchen or housekeeping experience, why not consider a role as Support Staff? Every camp requires individuals to be part of the team "behind the scenes" - ensuring everyone has the equipment, facilities, and food they need to keep camp running! Support Staff roles receive a higher salary and are allocated more free time, to ensure you can get involved with the day-to-day fun of camp! Working behind the scenes in the kitchen as a cook or assistant can be a lot of fun and there are several several positions available including working as a cleaner, general assistant or in the maintenance department. Although you won't be working directly in other areas you will still have a lot of enjoyment. You will get to interact with other staff and sometimes take part in activities. 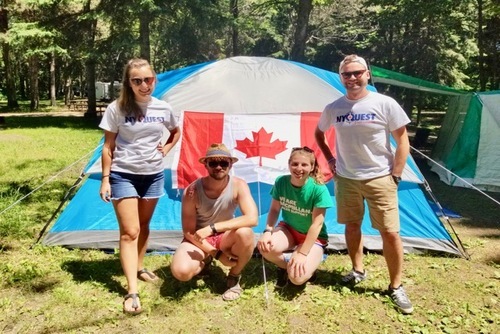 If you are a trained nurse or planning a career in healthcare then consider applying to join a camp medical team helping campers and staff stay healthy during summer. Our directory includes over 2,000 summer camps located throughout North America. Click the organisations tab above to start your application today.